There are many and varied forms of exercise. Nearly anyone who is experienced in physical training has his own method of performing exercises. It is difficult to suggest a course of training for anyone where the exercises would please the individual in every respect. When training, the physical culturist must take the bitter with the sweet. He must perform exercises that are not at all to his liking, and often he will find that such exercises are really the ones his muscles require the most for full development. When an exercise seems disagreeable or difficult, it is proof in itself that the muscles affected have been neglected. If you wish to perform only the exercises to your liking, you will naturally pick out the easiest work, and neglect the ones most necessary. There is frequently a tendency to fool yourself. I can relate an instance from my own experience which demonstrates this. Years ago, when I first started active training, I outlined a course for myself, I thought to be the best possible exercises, in order to develop and strengthen my muscles. 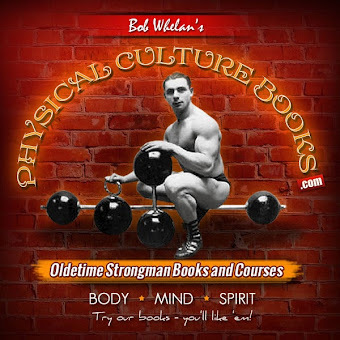 I religiously followed this system, and as I found the work becoming easier and easier, I naturally thought I was increasing rapidly in strength. However, the truth of the matter was that I was gradually discovering easier and easier methods of performing the movements, thereby not only fooling myself, but also cheating my muscles as well. Great care should be taken, therefore, in regard to the selection of exercises, for if the student discovers easier methods of performing them, he is not only fooling himself, but he is also retarding his progress. Don't Hypnotize Yourself with a Wrong Idea. I have often observed different individuals exercising in gymnasiums, and wondered while watching them perform light free-hand movements what physical goal they had set for themselves. I have seen some chaps swinging and twisting their arms madly, probably thinking in their minds that they were securing muscular development and strength. I have wondered how anyone would hypnotize himself this way. Light calisthenic work has never developed huge muscles, and never will. In fact, anyone who wants to obtain the best results in the minimum of time, should bear in mind that the muscles must be exercised in groups, as well as individually. It is all very well to adopt a system of light dumb-bell exercises, but you will find that in time the work will become exceedingly monotonous. 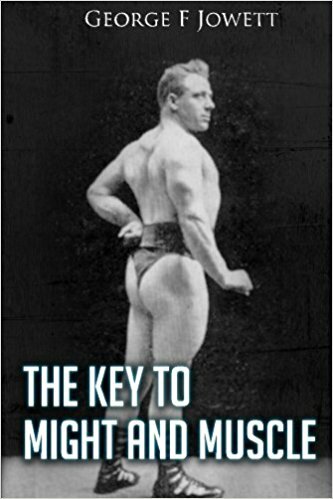 "Light calisthenic work has never developed huge muscles, and never will." My main objection to light dumb-bell work is that in the beginning you need only practice an exercise from ten to twenty times in order to tire the muscles, while after several months, in order to tire these muscles to the same degree, the repetitions must be continued many hundreds of counts. When you consider the time involved in exercising in this manner, the folly of it can readily be seen. Then again, endless repetition of movements has a tendency to wear away the tissues faster than they can be replenished. Therefore, instead of increasing the size of the muscles, they will slowly decrease, until the student possesses a body consisting of bones and long, stringy-looking muscles, not only unpleasing to the eye, but useless from the standpoint of strength. The muscles have endurance, it is true, but that kind of endurance for only one muscle at a time is absolutely useless for the hard worker. How can anyone expect to possess coordination in active work when his muscles have never worked together in groups? Of what use is biceps, for example, that can perform five hundred or one thousand flexions with a five-pound dumb-bell when put to a test, if it must seek the help of the shoulders, chest and leg muscles in some form of competition? It is not my intention to condemn any system of physical culture of the present day, for every teacher has a right to his own opinion, especially when he is in earnest. However, the pointers and advice I am endeavoring to set forth in these pages are based not only upon more that twenty years of close observation and study, but also upon more that twenty years of personal experience on my own body, which is the very best experience of all. Advise should be taken from one who can show results on his own person, and everyone knows that you can learn a great deal more from a practical man that you can from a theoretical one. If a penniless tramp tried to tell you how to become a financial success, you would not heed him one-tenth as much as you would a wealthy business man. The very same thing applies to physical training. Men who really do things are the men to learn from. If the student will bear this in mind in his endeavor to seek strength and development, more rapid progress will be made. It is not necessary for anyone to attend a gymnasium in order to perfect his body. Of course, a gymnasium is a great help, owning to the atmosphere of the place and the competition one is bound to encounter. But if one has the will power and the determination to succeed, he can accomplish even better results in the privacy of his own room, where the fullest concentration can be effected. I am a firm believer in paying strict attention to each extension and contraction of the muscles, for if the mind wanders, there is a tendency to slacken the effort. In order to succeed in exercising, the student must perform progressive work. He must work a little harder each week or month in order to develop his body to its maximum proportions. If he does not do this, he will merely reach a certain point in development and then stand still. I remember some years ago a young man came to me asking my advice regarding the treatment of his own body. He had a fairly good physique. As I remember, his arm measured about 14 inches when flexed. This young man told me that he had been exercising a little more than three years. However, during the last year or more, he had not made any noticeable gain. Therefore, he was not only anxious, but somewhat discouraged over his progress, as naturally he would be. I asked him what form of training he had been following and he told me. 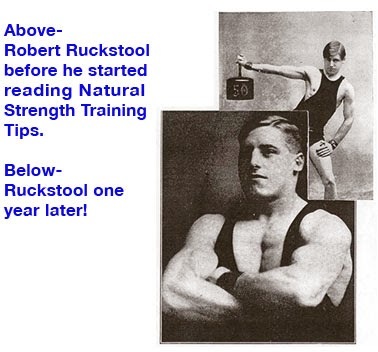 He never gave progressive exercising a though, but continued working every day at a monotonous drill that gave him a fairly good development, but no weight behind the muscles. He looked drawn and slim, and although he could move every muscle of his body at will, yet hey were not the kind that are pleasing to the eye. I took this man in hand and outlined a course of progressive work for him to follow, and in less than seven months his arm had increased to over 15 1/2 inches, thereby gaining as much in that short period of time as he had gained in more than twice that time while following non-progressive methods. Today he is one of the finest built athletes in this country. A short while ago another young chap. a student of Columbia University, came in to see me. He had done a lot of work on the rings, the parallel bars and on the horse, but had never developed any really good looking muscle. He was very much dissatisfied with his progress, notwithstanding that his gym instructor had assured him that he had developed about as far as he could go. I told him frankly that he could keep up this kind of work until feathers grew on frogs, but it wouldn't get him anywhere. Well, to make a long story short, this chap put himself under my instruction. I gave him a carefully selected number of exercises, planned to develop his arms, chest, abdomen and legs, which he followed faithfully for three months. 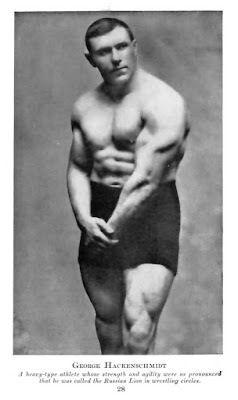 At the end of his time he gained a full inch and a half around the biceps, two inches in chest expansion and more than one inch around his thighs. Needless to say, he was delighted. I have since instructed at least a half dozen men from this man's fraternity, all of whom were equally well pleased with the results of their work. By progressive work I do not mean increasing the number of motions. I mean that the resistance you are working against must be made heavier as your muscles increase in strength. 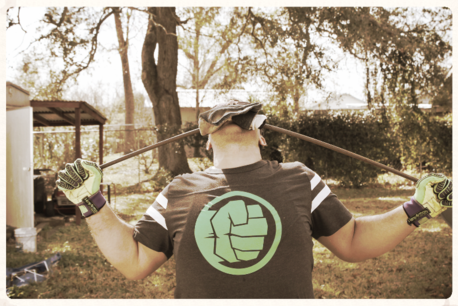 I am a firm believer in performing exercises that tire the muscles within ten repetitions. Of course, there are certain parts of the body that are exceptions in this case, such as the neck and thighs, possibly the abdominal region. For if too great a strain is placed upon these parts, serious results may develop. However, for the arms, chest and shoulders the student should never perform any movement that requires more than ten repetitions in order to tire the muscles if rapid gain in development is the object. The neck should be tired in less than twenty-five repetitions, likewise the thighs and the abdominal muscles. "By progressive work I do not mean increasing the number of motions. I mean that the resistance you are working against must be made heavier as your muscles increase in strength." The average beginner is ignorant regarding the proper method of performing his exercise. Just as there is a right and wrong way to lift weights, swim, skate or perform any feat of strength and skill, so there is a right and a wrong way to exercise. In exercising, the muscles should be worked in a natural manner. For example, when exercising your biceps, the concentration and the effort should be placed on the contraction and not on the extension. To make this clearer: if you are holding a weight in your hand with your arm hanging by your side, when you bend your arm, bend it with vigor and force, concentrating upon what you are doing, until your biceps is flexed and the arm is completely bent. Do not concentrate your effort on any resistance when relaxing the arm and lowering the weight to the arm's length at your side. Another example: When your are chinning the bar, start by hanging on the bar with your arms straight. 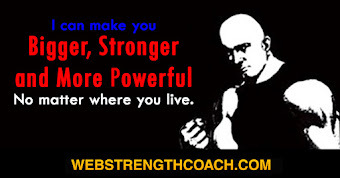 Then endeavor to bring your chin over the bar by flexing the arms and pulling the body upwards. Concentration and vigor should be put on this upward pull while you should lower yourself in a natural, relaxed way. I have seen athletes perform the exercise of chinning the bar and have noticed how slowly they have lowered themselves, seeming to pay special attention to the flexed state of their arms while lowering their body. If they paid more attention to pulling their bodies upward, much better results could be accomplished. 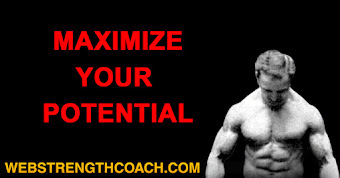 Try this for yourself the next time you happen to be in the gym, and see what a difference it will make. The triceps muscle, back of the arms, works just the reverse of the biceps. Therefore, when you push any object overhead, concentrate and use force in the movement. Pay no particular attention to the lowering of the weight to the shoulder again. In other words, use the muscles in their own natural way the way in which they were intended to be used. The biceps muscles was meant to flex the arm and the triceps muscle to extend the arm. The same thing applies to any muscle of the body. Later on I will go into this matter more completely. The size of the bones is an important factor in determining the contour and shape, as well as the size of the muscles. That is why a person who has a small framework can hardly expect to equal the proportions of a large-boned individual, although I have seen phenomenally developed athletes with small bones. Nevertheless, it is a fact that a large-boned man can become much stronger and have much larger muscles than his small-boned competitor. The small-boned man, however, has the advantage over a large-boned individual in the fact that he can develop muscles that are much more pleasing to the eye, and which will make him look much larger in photographs than anyone who has a large frame. 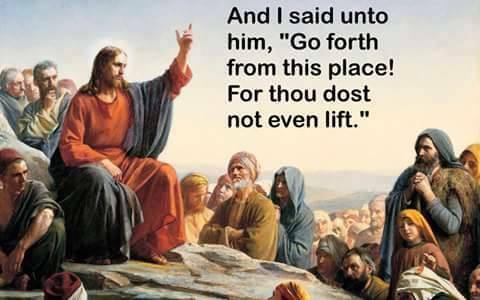 This is because of his small wrist, elbow and knee joints. One of the most remarkable examples I have ever seen of this was in a young man who had but a 6 1/2 inch wrist and whose upper arm measured a trifle over 16 inches when flexed. His chest and back and legs also reached enormous proportions. This chap was but 5 feet 6 inches in height and weighed in the neighborhood of 165 pounds. 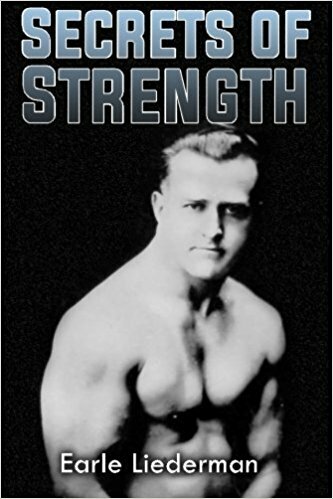 If, with all the work he had done to obtain this phenomenal development, he had had large bones, he would have undoubtedly become one of the world's strongest and must muscular men. 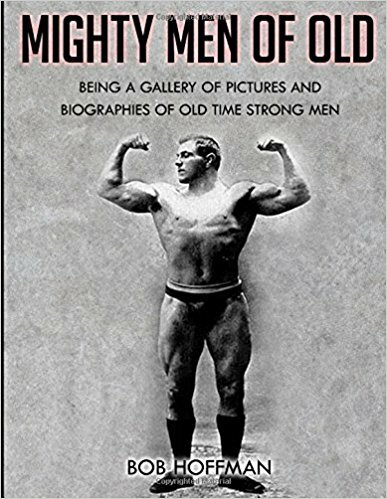 In photographs, however, he looked much better developed and much stronger than some of the world's record holders, who nearly always have been men of large bones. A man who possesses an 8-inch wrist and who will train faithfully for several years, will eventually have a biceps measuring from 17 to 18 inches when flexed, and other parts of his body in same huge proportions, providing, of course, he is of average height. Anyone who has a small, light frame should be consoled greatly by the fact that he can develop much finer looking muscles than his large-boned neighbor. His muscles will stand out better and he will have better control of them. He will also make a better appearance than his big, husky competitor. So cheer up, if you happen to be of slight frame, for faithful, regular performance of your exercises may bring rewards to you in muscular appearance that you couldn't get if you were a heavyweight.